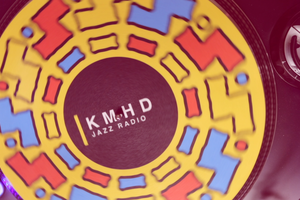 KMHD Jazz Radio Jan. 30, 2019 1:31 p.m. | Updated: Feb. 25, 2019 2:24 p.m.
It’s that time of year again, Portland! 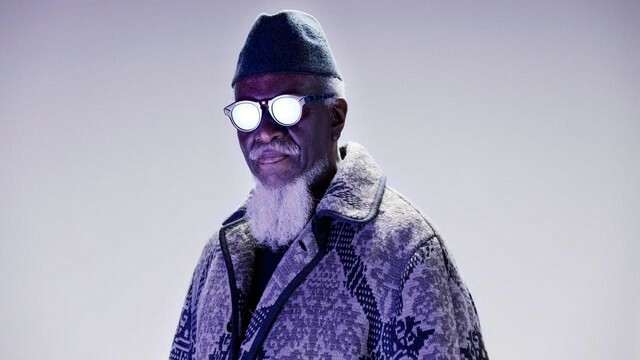 The annual PDX Jazz Fest is happening NOW through March 3, and this year’s lineup is as exciting as always, with headlining performances from living jazz & funk legends like Pharoah Sanders and Patrice Rushen complementing shows from vital newer voices like Christian Scott and The Bad Plus. Here are the KMHD staff’s top festival recommendations, broken down by day and into five categories: Essentials (shows any festivalgoer won’t want to miss), Hometown Heroes, Innovators, Straight But Not Too Straight and Tributes to Greats. 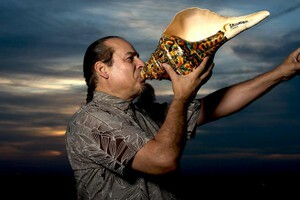 Trumpeter Christian Scott aTunde Adjuah. 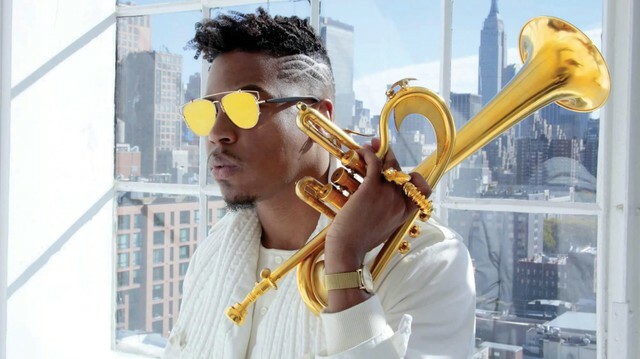 | INNOVATORS, ESSENTIALS | Two-time Edison Award-winning and Grammy-nominated Christian Scott aTunde Adjuah — trumpeter, composer, producer and designer of innovative instruments and interactive media — released in 2017 three albums to commemorate the 100th anniversary of the very first jazz recordings. Collectively titled The Centennial Trilogy, the series is at its core a sobering re-evaluation of the social and political realities of the world through sound. It speaks to a litany of issues that continue to plague our collective experiences: slavery in America via the prison–industrial complex, food insecurity, xenophobia, immigration, climate change, sexual orientation, gender equality, fascism and the return of the demagogue. | ESSENTIALS | “I may be a man of few words to some, but the music I’ve produced ‘says it all.’ I am deeply grateful and humbly moved to be acknowledged and honored for the embodiments of my jazz works which has lasted for over more than a half century.” NEA Jazz Master, Ferrell “Pharoah” Sanders, is a legendary jazz saxophonist who has shown a remarkable facility performing in a variety of styles — from free to mainstream — displaying what has been called “hard-edged lyricism.” Emerging from John Coltrane’s groups of the mid-1960s, Sanders is known for his distinctive sound. His work embodies the spiritual foundation of avant-garde jazz and he has shaped his own sonic world that encompasses the primal wails and fierce energy of late Coltrane and the stomping R&B of his Little Rock youth, Asian modes and Moroccan grooves while balancing his explosive improvisations with gentle ballads of sublime simplicity. Tony Pacini Trio | STRAIGHT BUT NOT TOO STRAIGHT, HOMETOWN HEROES | Tony Pacini hosts Jazz Connections on KMHD, on-air Sundays from 4 to 6pm. The Bad Plus | INNOVATORS, ESSENTIALS | Since its outset, iconic trio The Bad Plus has dared to be different, challenging all preconceived notions of jazz. 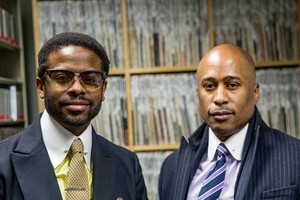 Through a provocative style of arrangements and compositions they call “avant-garde populism,” their unique blend of influences, ranging from experimental jazz, indie rock, pop, and classical music has earned this “audacious, rule-breaking jazz trio” (Billboard) a reputation as one of the most universally well-respected bands in jazz today. The intensely collaborative trio has constantly searched for rules to break and boundaries to cross, bridging genres and techniques while exploring the infinite possibilities of three exceptional musicians working in perfect sync. 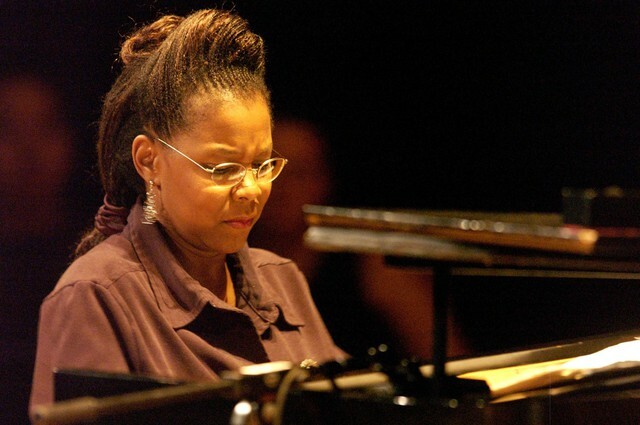 Pianist and vocalist Patrice Rushen. | HOMETOWN HEROES, ESSENTIALS | Multi-Grammy nominated artist Patrice Rushen is fashioning her career after the legacy of her long-time friend and mentor, Quincy Jones. Composer, producer, international recording artist: Rushen has definitely earned the respect she has been awarded by her peers in the music industry. Admired by many for her groundbreaking achievements, Rushen has amassed an impressive list of “firsts”. She was the first woman to serve as Musical Director for the 46th, 47th & 48th Annual Grammy Awards, the first woman in 43 years to serve as Head Composer/Musical Director for television’s highest honor, the Emmy Awards and the first woman Musical Director of the NAACP Image Awards, an honor she held for 12 consecutive years. 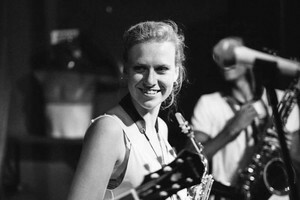 This show from her trio features an opening set from trumpeter Farnell Newton, who hosts Peer Pressure on KMHD Sundays 10pm-midnight. Blue Cranes and Methods Body | INNOVATORS, HOMETOWN HEROES, ESSENTIALS | Since their formation in 2007, Blue Cranes have become a key player in the Portland, Oregon creative music/DIY scene and one of the most exciting groups to keep tabs on in the Northwest. They’ve developed a singular musical voice grounded in melody and explosive improvisations—marking off their unique microcosmic territory in “post-jazz” circles. Steve Turre and the Eulipeon All Stars Celebrate the Music of Rahsaan Roland Kirk with Ralph Peterson Jr.’s Messenger Legacy Centennial Celebration | ESSENTIALS, TRIBUTES TO GREATS | featuring James Carter, Vincent Herring, Carl Allen, Matt Clark and Marcus Shelby (the Eulipeon All Stars) & Bobby Watson, Brian Lynch, Bill Pierce, Zaccai Curtis and Essiet Essiet (Messenger Legacy) — The thought of Steve Turre inevitably conjures the image of a dauntless virtuoso. Over the course of a remarkable career spanning more than five decades, Turre has proved time and time again that he’s one of the foremost masters of the trombone, able to steer his challenging instrument through breakneck turns and imaginative leaps at dizzying speed. The Messenger Legacy is an elite line-up of alumni members of one of Jazz’ most influential bands, Art Blakey’s Jazz Messengers. The current configuration is Bobby Watson, Essiet Essiet, Geoff Keezer, Brian Lynch, Bill Pierce and Ralph Peterson — the last drummer chosen by Art Blakey to play at his side in the Jazz Messenger 2 Drummer Big Band. Bobby Watson and Bill Pierce were present the night Peterson first sat in with the band at Mikell’s and was a mainstay from the late 70s through the early mid 80s. 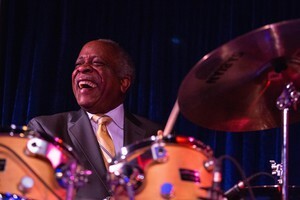 Essiet Essiet was brought to Art Blakey by recommendations of Ralph Peterson and Bobby Watrson. Geoff Keezer and Brian Lynch joined what turned out to be the last edition of The Messengers before Art Blakey’s passing. Guitarist and songwriter Habib Koité. The Soul of Africa: Habib Koité & Bessekou Kouyate | ESSENTIALS | Habib Koité and Bassekou Kouyate exemplify responsibility and shared experience associated with the historical, cultural and unifying properties of Malian music. One of Africa’s most recognized musicians, Habib Koité is a modern troubadour with extraordinary appeal because Koité‘s musicianship, wit and wisdom translate across cultures. Hailing from the musically prolific West African nation of Mali, the guitarist and composer has been named the biggest pop star of the region by Rolling Stone. In a collaboration that differs from any in today’s industry, Koité will be performing with fellow Malian Bassekou Kouyate, a master of the olden lute known as the Ngoni. 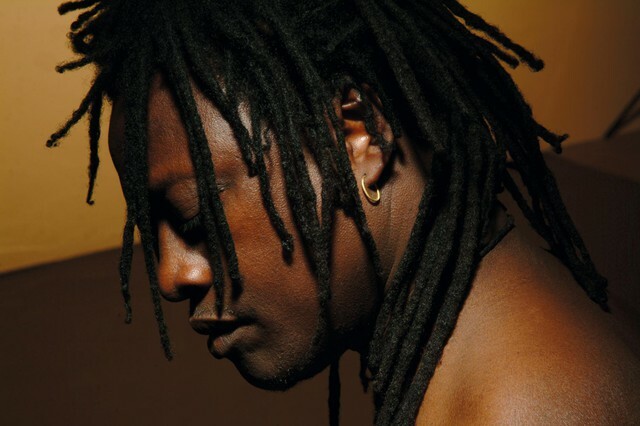 The effortlessly talented, Grammy-nominated “Ngoni virtuoso Bassekou Kouyate can make notes bend like light rays in the desert heat (Time Out magazine).” Kouyate’s knowledge and comfortability in a vast array of musical settings actively complements his counterpart’s presence. Recently, Bassekou’s involvement with the critically acclaimed film ‘Mali Blues’ and his exceptional recording have earned him a recognition throughout the world. Terence Blanchard E-Collective & 2019 Portland Jazz Master Darrell Grant | STRAIGHT BUT NOT TOO STRAIGHT, ESSENTIALS | Since top-tier Jazz and multiple Grammy Award-winning trumpeter and composer Terence Blanchard embarked on his solo recording career with his eponymous Columbia Records album in 1991, the New Orleans artist has traveled many paths musically, including delivering adventurous and provocative acoustic jazz outings of original material, composing over 50 soundtracks and even, in 2013, debuting ‘Champion: An Opera in Jazz.’ But for his latest Blue Note Records album, ‘Breathless,’ Blanchard powerfully and playfully journeys into another jazz realm with his quintet The E-Collective — an exciting zone of grooved fusion teeming with funk, R&B and blues colors. Darrell Grant has risen from his introduction to audiences as the pianist in vocalist Betty Carter’s trio to an internationally-recognized performer, composer, and educator who channels the power of music to create community, sustainability and social justice. Grant has performed with a wide array of jazz luminaries including Frank Morgan, Tony Williams, Brian Blade, Esperanza Spalding, and Nicholas Payton. | TRIBUTES TO GREATS | As part of a musical family, Eldon “T” Jones developed a love for music at a young age and began playing in his church. He studied music at Thomas Jefferson Performing Arts High School in Portland, Oregon, and in 1995, Eldon started N Touch, which grew to a septet by 1998. In 2001, they released ‘N’Touch’ which still rings true with fans today. Gerald Veasley’s musical odyssey has taken him to the top of the contemporary music world as a bassist, bandleader, composer, producer, educator and curator. His performance as a six-string bassist has been top shelf, as his extensive body of work attests. Born in 1979, jazz saxophonist Marcus Strickland is a charter member of the 21st century jazz vanguard. Similar to the torrent of artists that appeared on the jazz landscape in the early 80s to pull jazz out of the grasp of the Fusion Era, Strickland, his identical twin brother E.J. Strickland (drummer), and artists such as Jeremy Pelt and Robert Glasper breathed new life into jazz early in the new millennium. 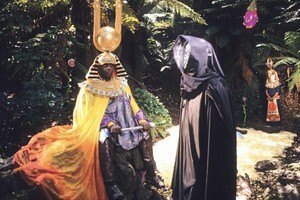 Throughout his career, Strickland has worked with a variety of artists, including Mos Def, Nicholas Payton, Christian McBride, Charles Tolliver Big Band, Tom Harrell, among others. 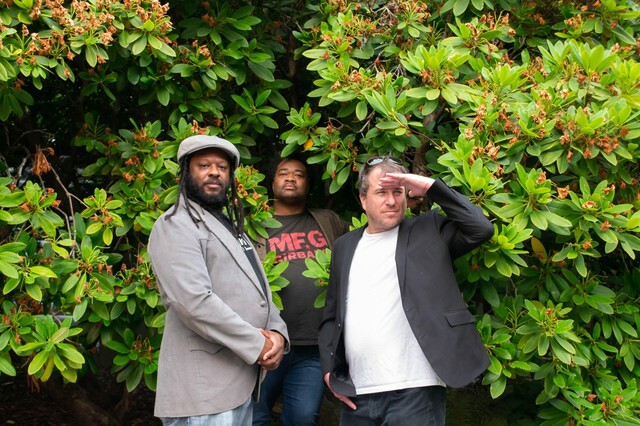 Delvon Lamarr Organ Trio was formed in the Spring of 2015 by Amy Novo, Delvon Lamarr’s wife and band manager. She told her husband she would take over his music career and all he had to do was find the musicians, create and play music. They originally started with another guitarist and drummer. Within a year they brought on infamous Jimmy James. Immediately the chemistry between the three of them was undeniable. With Delvon’s soulful organ sound, and Jimmy’s explosive guitar sound and the former drummer’s perfect pocket drumming, they had the perfect blend of Soul, Jazz, Rhythm & Blues and Rock & Roll.